In High Society socialite Tracy Lord (Grace Kelly) is set to marry George Kittridge (John Lund). But her ex-husband (Bing Crosby) is still in love with her and tries to get her back. Meanwhile magazine reporter Mike Connor (Fank Sinatra) and photographer Liz Imbrie (Celeste Holm) are covering the lavish wedding. While getting to know Tracy, Mike falls for the blonde beauty as well. So Tracy is left to choose between three very different men. – High Society is based on the play The Philadelphia Story. 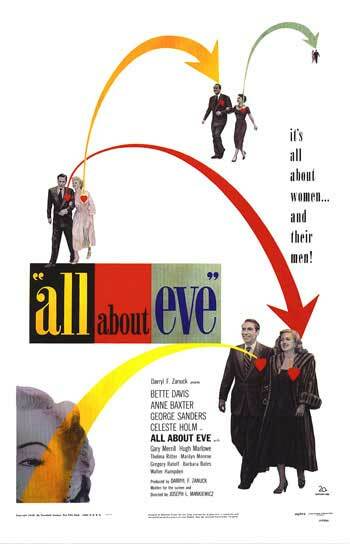 A popular movie of the same name was released in 1940 with Katharine Hepburn in the lead. – Elizabeth Taylor was the first choice for the part of Tracy, but when she declined the part was offered to Grace Kelly. – This was Grace Kelly’s last film appearance, before retiring as an actress to become the Princess of Monaco. – Grace Kelly, who was recently engaged to Prince Rainier, wore her actual engagement ring for her characters ring. 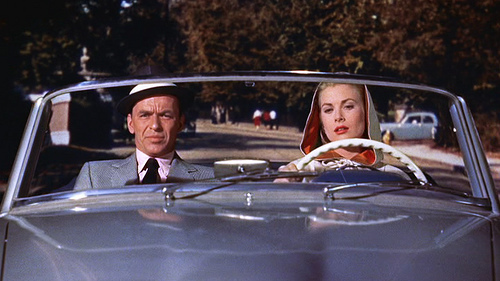 – Although Grace was only 26, the actors that played her love interests, Frank Sinatra and Bing Crosby, were 40 and 53. – It is said that Frank Sinatra wanted to be in High Society because it allowed him to sing a duet with his childhood idol Bing Crosby. 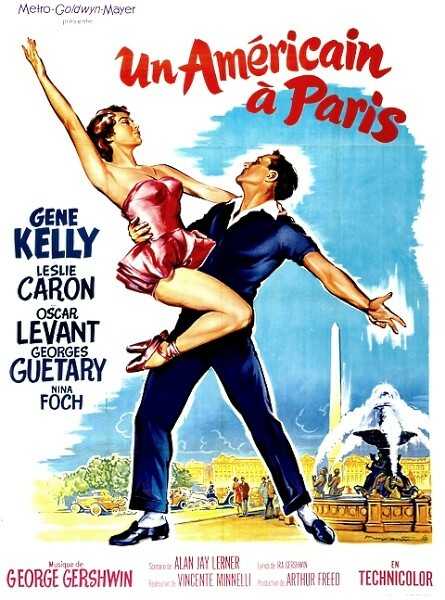 – This is Louis Calhern’s last film, since he passed away a couple of months after the film’s release. 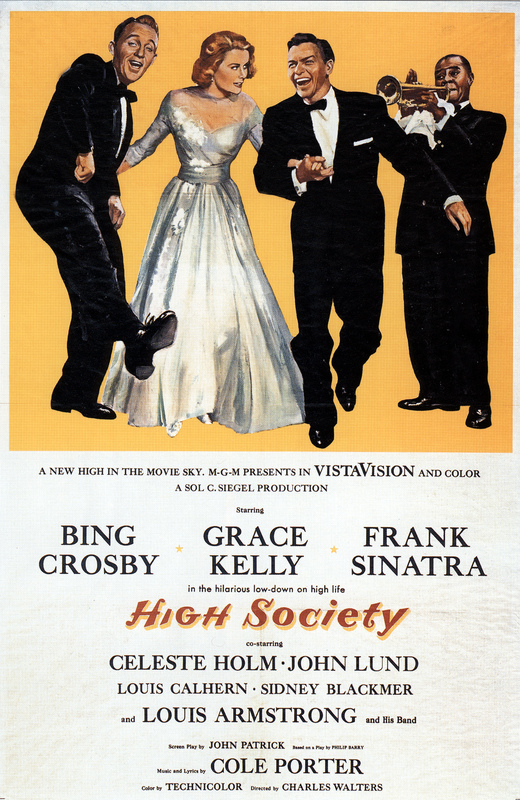 – High Society was released three months after Grace Kelly’s wedding to Prince Rainier. Since she received a platinum record for the song she sang in the film called True Love, she is the only member of royalty to recieve a platinum record. – The house that was used for the exterior of Dexter’s mansion was later purchased by Sunny van Bulow and her husband Klaus. It was there that she fell into her infamous coma, from which she never awoke. High Society was a pretty popular film in its time, although critic’s commented that it missed some of the ‘sparkle’ that the original, The Philadelphia Story from 1940, had. Still, the film is seen as a classic in its own right nowadays. 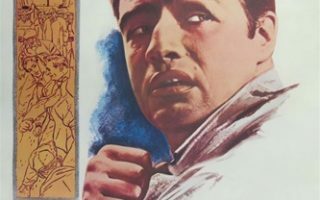 Especially because of its star quality; Grace Kelly, Frank Sinatra, Bing Crosby and Louis Armstrong are beloved icons and a movie that combines all these stars is destined to be a classic. But aside from the actors, the storyline is comedic, cheerful and romantic and can still entertain the crowds today. 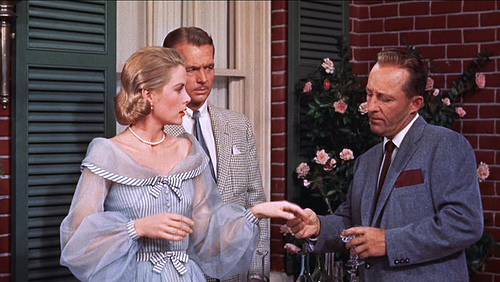 High Society is probably most famous for being the last on-screen appearance of the beloved Grace Kelly, also known as Princess Grace. Read more about Grace Kelly’s life.